To be a champion of the Jamaican motto, "Out Of Many One People." A symbol of our environmental responsibility, and quality, whilst earning the respect and prestige of our customers and our employees. To create tranquil spaces for leisure and entertainment, as well as offering the highest quality of customer service, while showcasing and promoting the rich cultural heritage of our people and simultaneously providing for the economic wellbeing of our company and employees. 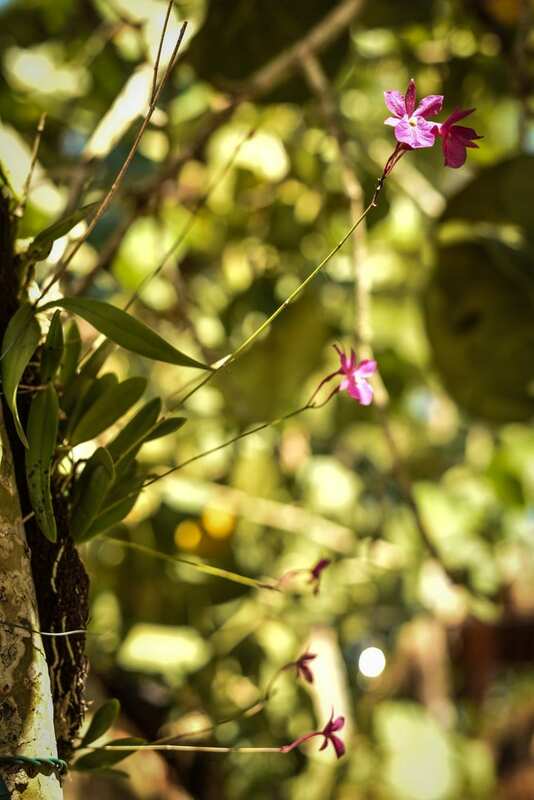 We passionately believe that our natural resources and our people are our greatest assets. This belief was consistently practiced while the team lovingly crafted the Park. 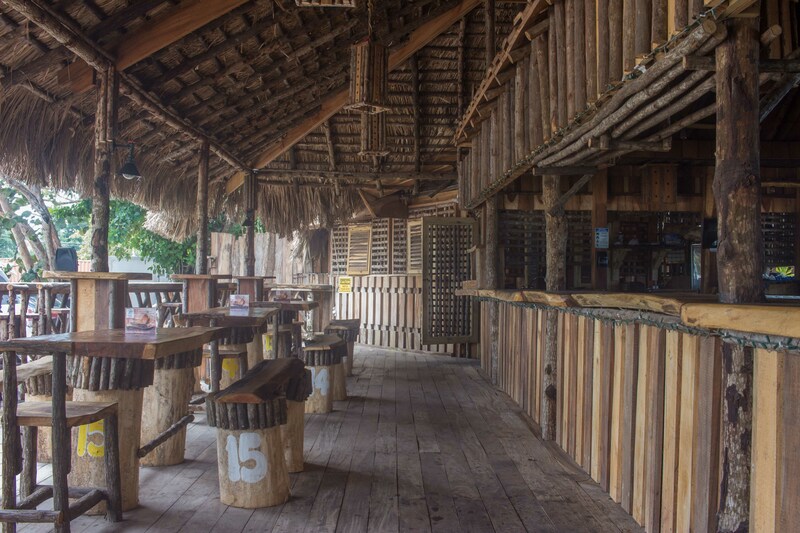 The beauty of Island Lux Beach Park is that we use mature, locally harvested materials to showcase one of a kind, rustic, organic, laid back yet stylish and meticulously presented buildings. The thatched roofs and wooden structures are a salute to our rich history of sustainable outdoor living. The trees are hugged by the artfully crafted buildings that serve to protect them, while allowing them to join in the celebration of all that represents Jamaica; "Our Land Of Wood And Water". All products used in the serving of our delicious foods are biodegradable. 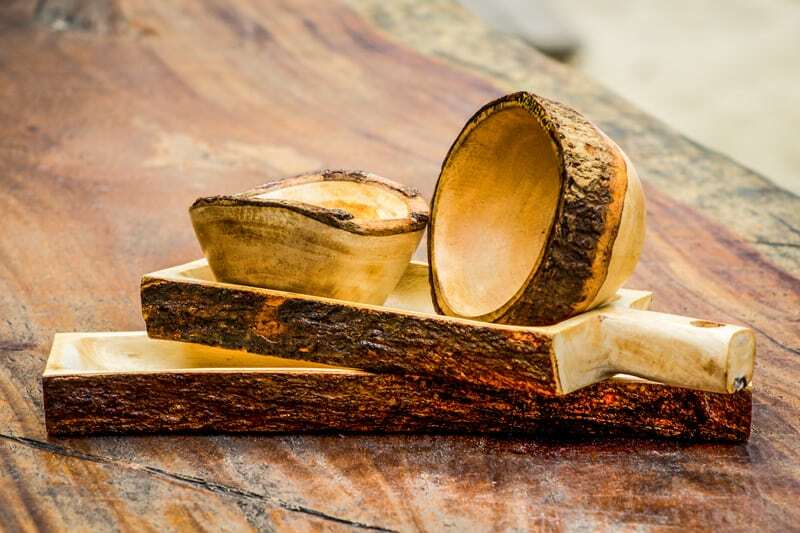 We further celebrate our Jamaican crafts by using calabash dishes and bamboo plate settings, as well as other recyclable products to serve our food. 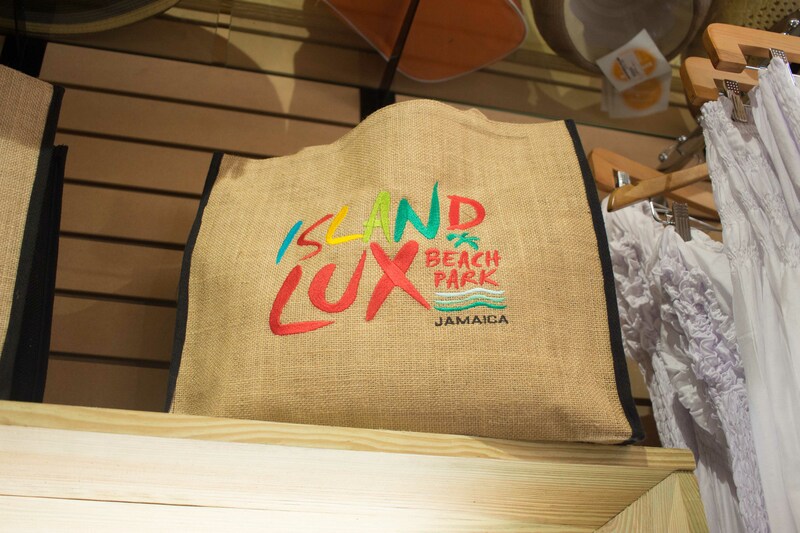 Our dedication to staying green makes Island Lux Beach Park, exceptional. Our thatch and wooden structures capture your imagination about the way we predominately lived, and still live to a great extent. The relaxed, “No Problem” lifestyle at its best, is represented at the park through our music, and the preparation of our food: A festival of flavors, arousing your appetite for more. From one end of the property to the next…a slow romantic dance of the palette. Join us at one of our iconic restaurants, to indulge in the outstanding flavors of Jamaica. Our food is prepared from a wide variety of hormone free/free range poultry, to grass fed cattle of the highest quality. Select from a menu of Jerk, Barbecue or Barbi-Jerk chicken, pork, sausages and our finest quality beef. 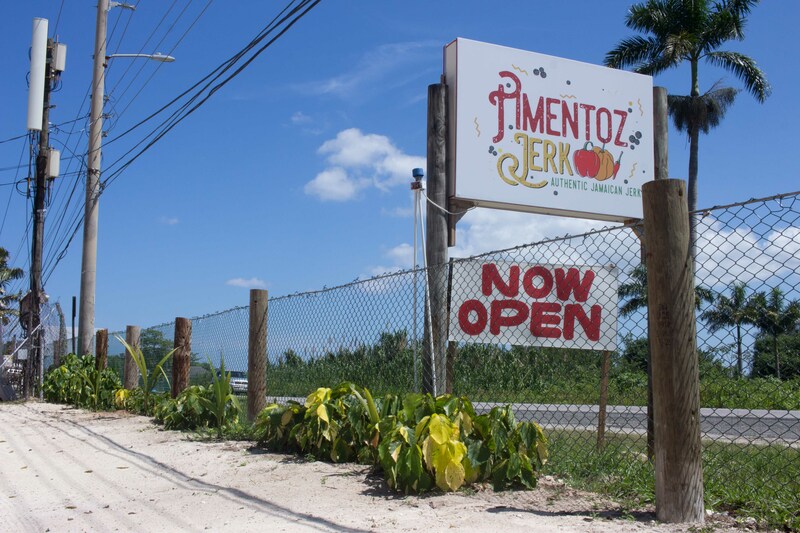 prepared at Pimentoz Jerk or Ital Island & Honest Herbs to be swayed by the riddim (rhythm) of the drums as you nourish your body and soul with the Ital food, herbs, spices, and culture of the Rastafarians, aptly represented here. Craving something light and fulfilling? Step into Juice=Yes for some all-natural freshly made juice from our sun ripened fruits, or simply enjoy the best fruits the Island has to offer while relaxing alone or chilling with friends. 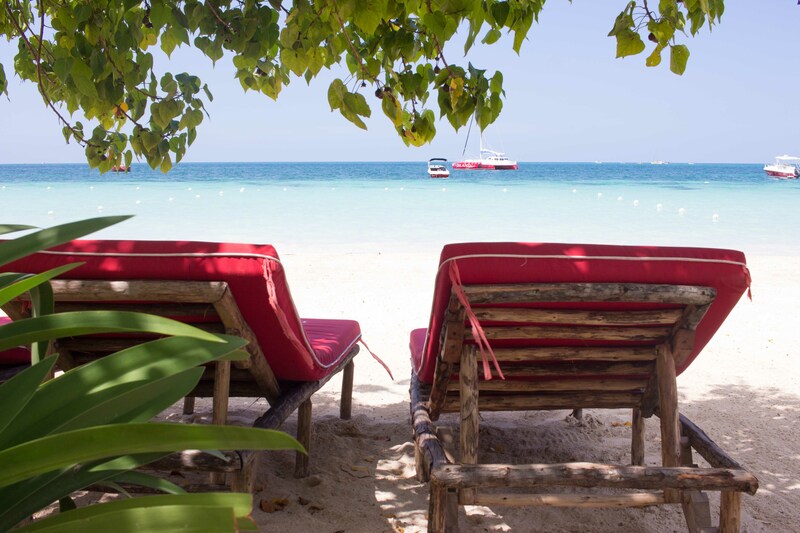 Enrich your day at the beach with a scrumptious feast from Little Negril, Jamaica’s seafood paradise, or indulge in the seaside elegance of The Gallery Restaurant, a fine dining and Jamaican art experience. Your day will be satisfactorily completed when you reward yourself with our world renowned Jamaican Devon House Ice Cream, or other sweet treats at our Beach House Sweet Eats parlor. The Island Lux Watersports & Rental will cater to all of your water-sports desires, including, exploring the Negril shoreline and scenic cliffs, in one of our many boats; sail boats or trimarans, then complete your experience with gifts from our Gifts To Go gift shop. Whatever combination of our exquisite experiences you choose to indulge in, the wide expanse of the sea and beach as well as the music and rhythm of the Jamaican people stays with you throughout the property, reminding you that you are in Jamaica. One Love! If a part of your journey is to gain a firsthand experience of our history and what our culture has to offer, a part of our mission is to invite you to fully indulge in our sun kissed sand, our sea, music, spices, herbs, cuisine and the hospitality of our people. At the end of experiencing this all, it is our hope that you will be more knowledgeable about our rich history and that it leaves an indelible mark on your heart and palette of wanting and returning soon. Island Lux in short represents luxury for all.? To our Jamaican people, we say A fi Yu luxury hurry run come! To our overseas visitors; join us and experience the real Jamaica. Irie?